Nothing’s better and more comforting than a warm bowl of soup on a chilly winter night. Actually, we take that back. Nothing’s better than a warm bowl of soup on a chilly winter night that takes about 30 minutes to make. Just because we’ve hit the coldest months of the year doesn’t mean we suddenly have more time on our hands to make dinner from scratch. Hell, we’re probably busier now during this holiday season as we juggle work and family and our sanity. But it also doesn’t mean we should deprive ourselves of a homemade, creamy ladle (or two) of broccoli-cheddar soup that could rival Panera’s. 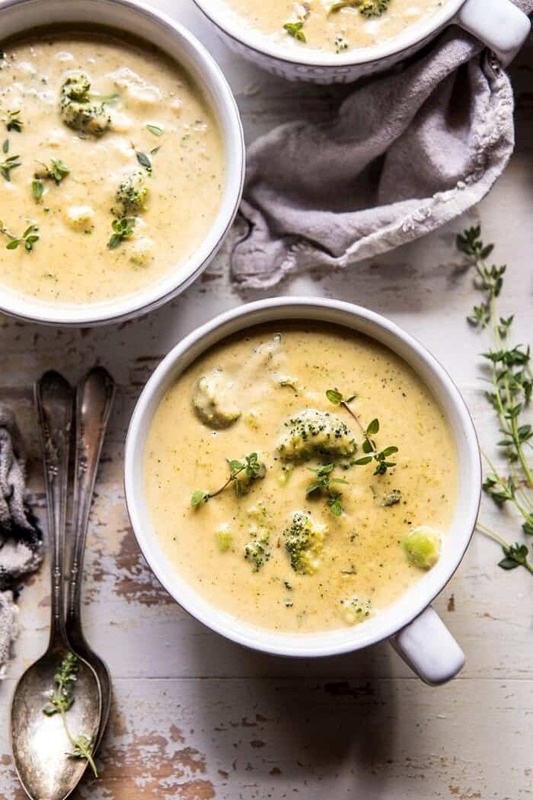 From thick, creamy soups to hearty, cozy soups with flavorful and perfectly seasoned broths, these are the 12 soup recipes you have to try this winter — on those particularly hectic weeknights. 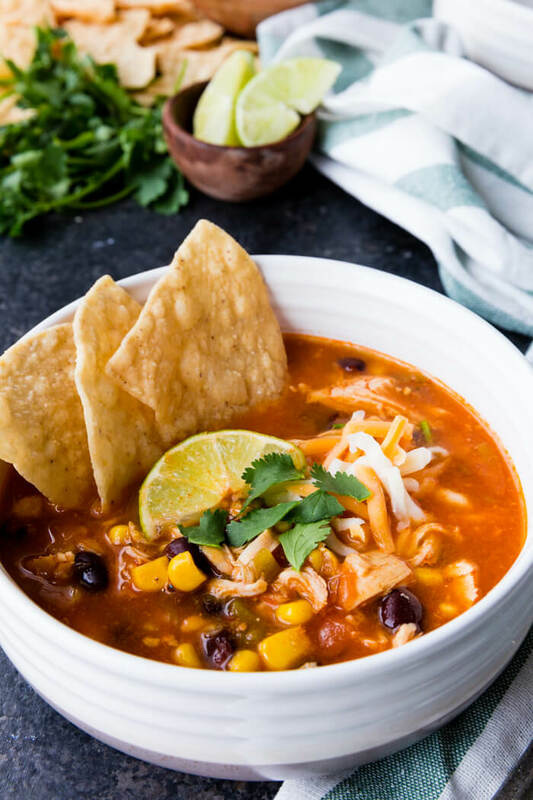 This taco soup has everything you could want: a rich and flavorful broth; layers of chicken, beans and corn; and cilantro, lime, cheese and chips (obviously) tossed atop. At around 280 calories per serving, this chicken taco soup that feeds six takes 15 minutes to prep and seven minutes to cook. All butternut squash soups should be creamy and velvety-smooth, and this one certainly hits both marks. Curry Trail’s recipe is vegan, and it’s a flavor bomb too thanks to the addition of red bell peppers and curry powder. It also freezes well. If you have 20 minutes to spare, you can certainly whip up this butternut squash soup. A favorite comfort food dish in soup form? Check. The Recipe Pot’s lasagna soup not only packs all the flavors you’ve come to love and expect, but you can easily adjust the recipe and add more veggies, like mushrooms and zucchini and sweet peppers. This lasagna soup takes 10 minutes to prep and 10 minutes to cook. 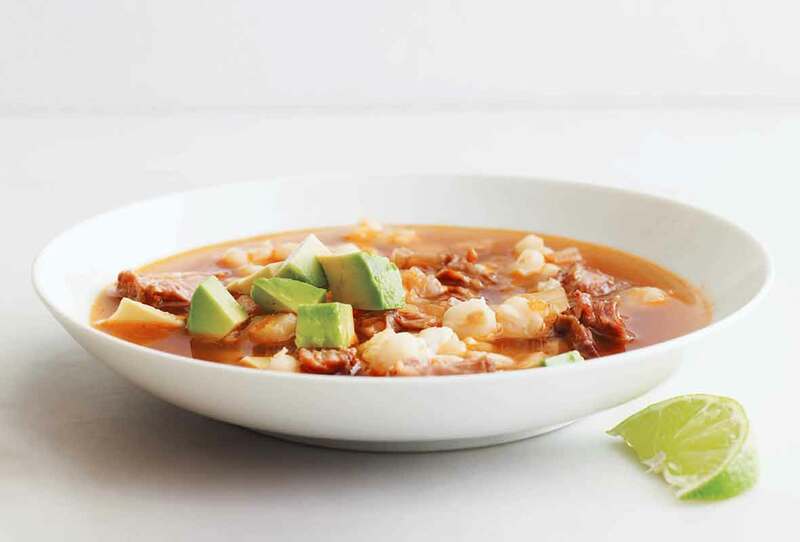 Posole is a traditional Mexican soup that usually takes hours to make, but this version from Leite’s Culinaria has all the flavor and only takes a fraction of the time. 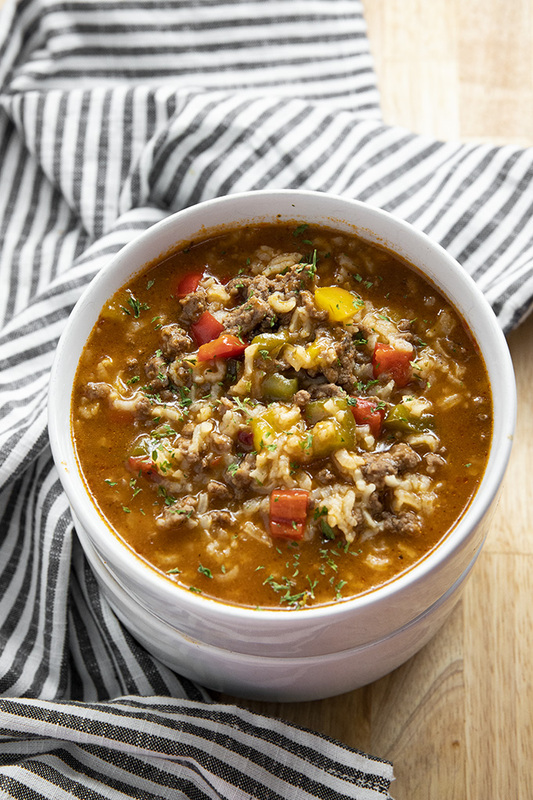 There’s no resisting ground beef, bell peppers and rice swimming in a savory broth. Described by the Salty Marshmallow as a “deconstructed stuffed pepper,” this soup is irresistible when sprinkled with shredded cheddar. Oh, and did we mention it takes only 15 minutes to make? The Salty Marshmallow’s stuffed pepper soup takes five minutes to prep and 10 minutes to cook in the Instant Pot. Life Made Sweeter claims this minestrone soup tastes just like the Olive Garden one, and we’re game to give it a try. 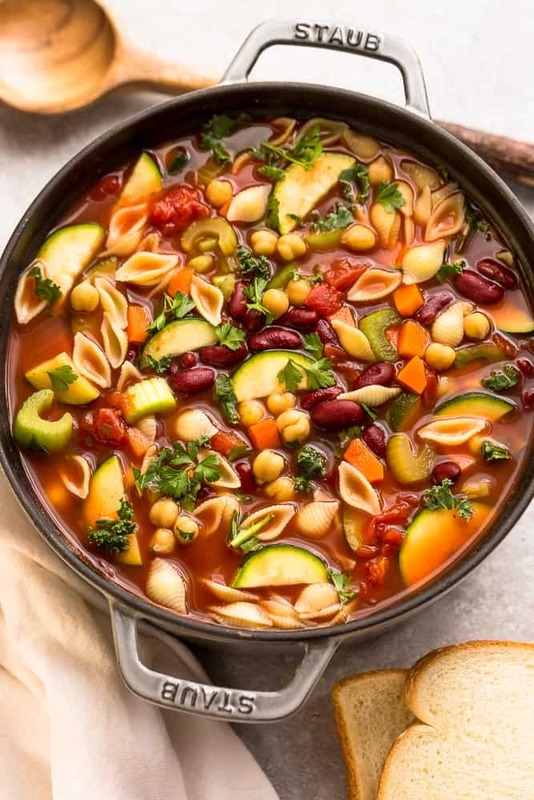 This hearty minestrone soup is loaded with an assortment of veggies, kidney beans and cannellini beans with pasta soaking up the rich, herby broth. It also only takes 15 minutes to prep and eight minutes to cook. 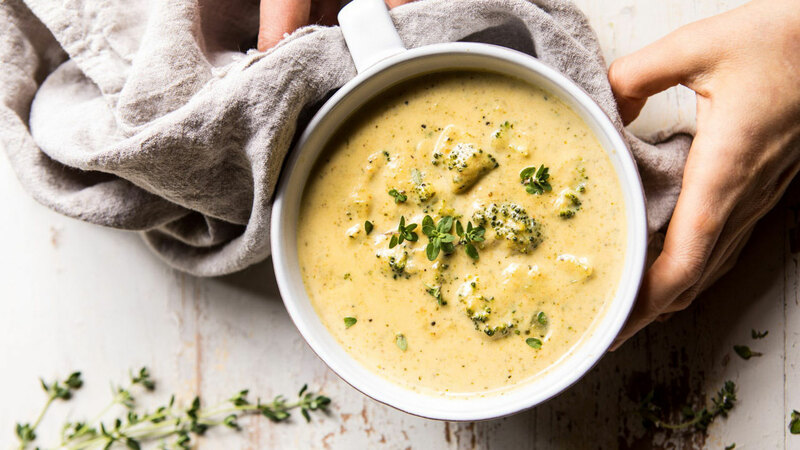 A broccoli, cheddar and zucchini soup that’s better than Panera’s? That’s what Half Baked Harvest claims, and we won’t lie — it sure looks better. No one can resist warming up with a creamy, cozy bowl of broccoli soup, and this recipe, which takes 10 minutes to prep and 20 minutes to cook, will hit the spot. It won’t leave you feeling too guilty, either; it’s a little more than 300 calories per serving. Have leftover ham from Christmas or New Year’s? Great! Grab some russet potatoes and your leftover ham, and throw ’em both in your Instant Pot to make this quick and hearty soup. Delicious Meets Healthy’s recipe takes just 25 minutes to make. 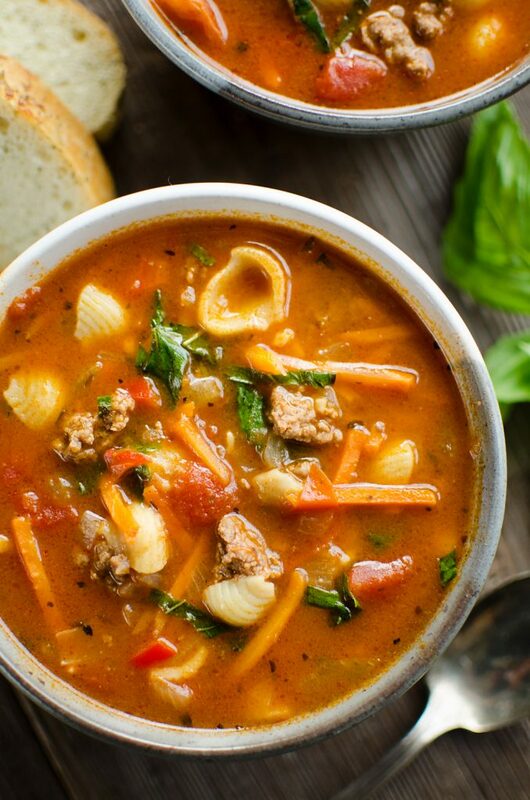 Veggies, ground beef and pasta swimming in a perfectly seasoned tomato broth, this hamburger and pasta soup is basically your dad’s chili meets chicken noodle soup. The Creative Bite’s hamburger and pasta soup takes 10 minutes to prep and 18 minutes to cook. It’s as traditional as you can get, lentil soup, and iFoodReal has a quick and easy recipe that’ll get the soup on the table in 23 minutes. 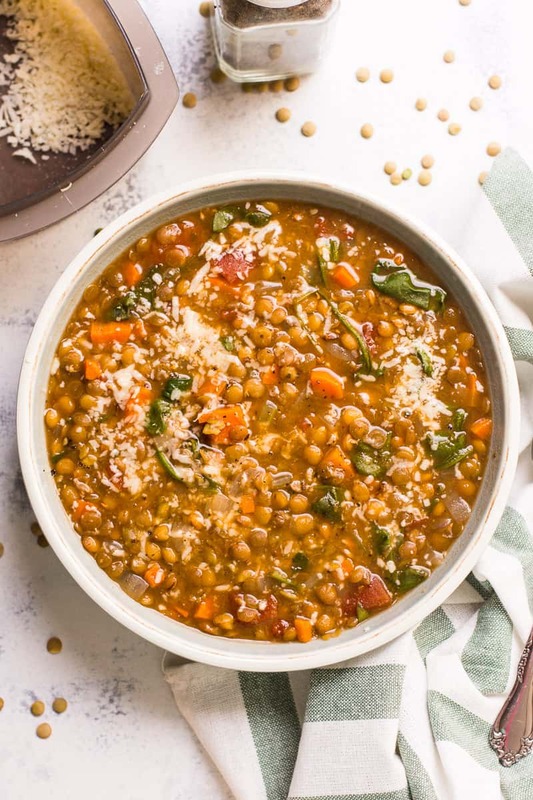 Made with green lentils, tomatoes, spinach and a host of other veggies and seasonings, this Instant Pot lentil soup tastes great, especially when topped with Parmesan cheese. A thick, creamy pumpkin soup in only 15 minutes? Meatloaf and Melodrama has figured it out. Plus, each serving is only 90 calories. 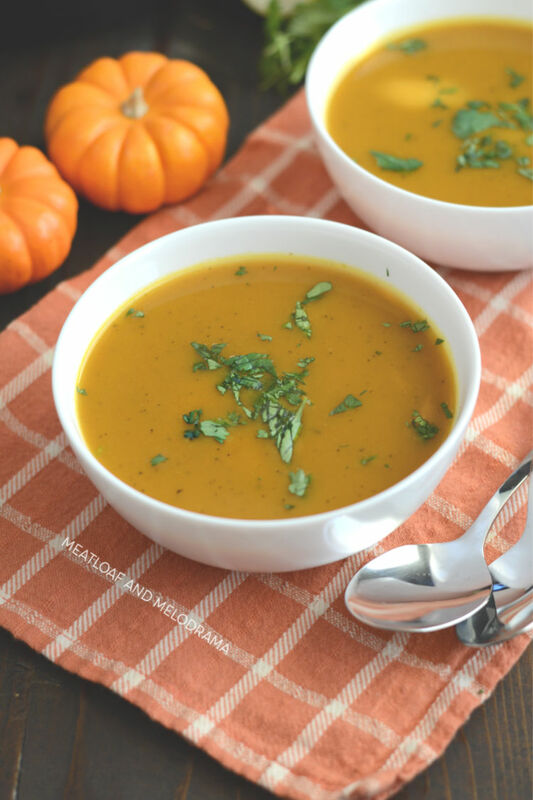 For vegetarians who want to forgo the chicken broth, simply use vegetable oil and vegetable broth in place of it in this easy Instant Pot pumpkin soup recipe. This is as easy as it gets. 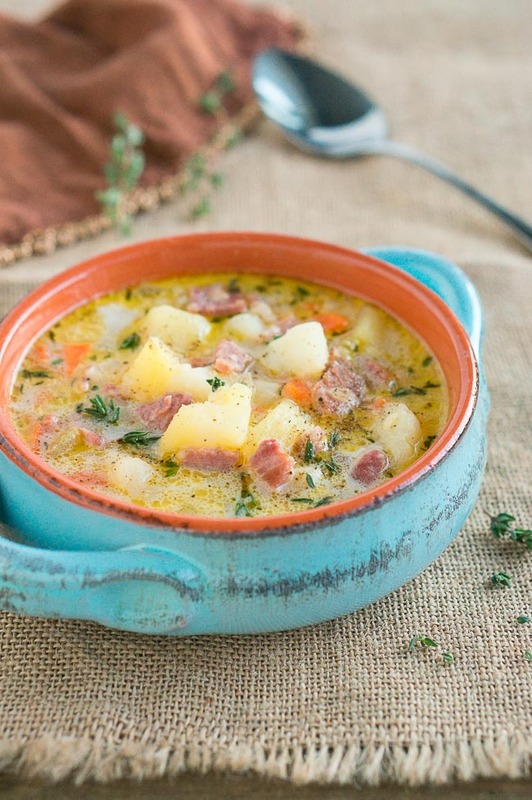 No need to bake or drain potatoes for this potato soup recipe. Just place them directly into the Instant Pot, cook, then, mash them up and mix in the rest of the ingredients, including onions, cheddar cheese and whole milk. Want a spicier potato soup? The Wicked Noodle recommends adding chipotle peppers or jalapeños to this recipe that takes just 22 minutes to make.